After you receive the email or phone call, take a deep breath. Get control over your feelings and keep a level head. The very last thing you want to do is get upset and say something you regret to the hiring manager! Even though you got rejected from the job, you still don’t want to burn the bridge with that organization. At the time, this might seem hard to do, but you should thank the hiring manager for his/her time. Whether it’s in reply to the rejection email or verbally when you’re called, a simple ‘thank you for your time’ should be one of the first things you say. You will never regret staying polite! It’s more than okay to ask the hiring manager for feedback! It might be difficult to listen to, but the interviewer might highlight an area of your interviewing skills or resume that needs improvement. It can also give you some closure as to why you were not chosen for the position. This will ultimately help you on the path to the right opportunity! Again, easier said than done, but stay positive. Surround yourself with your support system, volunteer, do something you enjoy – anything to keep your spirits lifted. Maintaining a good attitude will make getting back in the job search saddle so much easier! 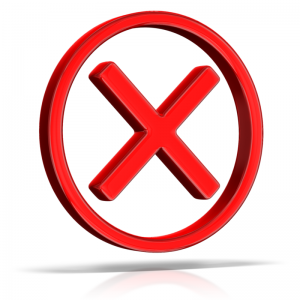 Rejection in the job search is tough – no doubt about that! Follow our tips and dust yourself off, because this just means you’re one step closer to the right opportunity! This entry was posted in Job Seekers and tagged bouncing back from job search rejection, job search rejection, job search tips. Bookmark the permalink. Continue to keep up with the company, especially if it is a company you want to work with. Keep your eye on the goal while you improve yourself, even if that entails getting another job to build the skills necessary in the mean time. Then apply again, network, and change up your plan of attack to get noticed or your foot in the door. It’s a great follow-up to staying positive since this outlook can help you persist even past that failure, in this case “rejection”.